Today started out as just another routine family breakfast where we were all lost in our own morning worlds, but changed when I heard on the news that author Sue Townsend had died. I am someone who is usually about as emotional as a plank of wood, so it felt strange to be upset about the death of someone I didn’t know and had never met, even on Facebook. Reading the Adrian Mole books was obviously an important part of my growing-up years and just goes to show how much an influence books and authors can have on you. 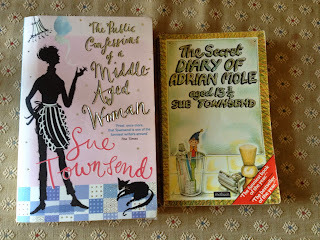 It is slightly spooky that Ed is almost 13 ¾ and although an avid reader I don’t think he has read about Adrian Mole. I will have to dig out my 1980’s copy for him. I wouldn’t want to revisit my teenager years; life is definitely better now with the exception of my memory. This evening I experienced that sickening panicked feeling when I opened my handbag to find my purse missing. Trying to calmly recall where I’d used it last I remembered shopping yesterday morning and taking my bag into the English Conversation Club at Ed’s school earlier today. The kids may be a tad unruly and difficult to control but I couldn’t bring myself to believe one of them had pinched my purse. Lots of scrabbling in my many receipt strewn handbags later and the thought of having to approach the scary and severe headmistress on Monday, in whose presence I always lose the ability to speak French, was making a bad situation feel worse. 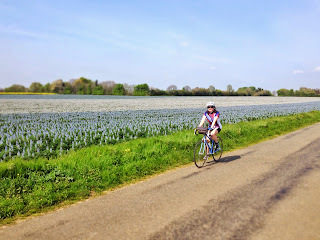 Ade then asked if I’d taken it on our bike ride yesterday afternoon and if so was it still in the bike bag? Phew! One lost purse found, but who forgets a 35km bike ride? I am officially getting old! The grey hairs on my head I can cope with, the chin hairs and memory I’m finding more of a challenge than teenage spots. 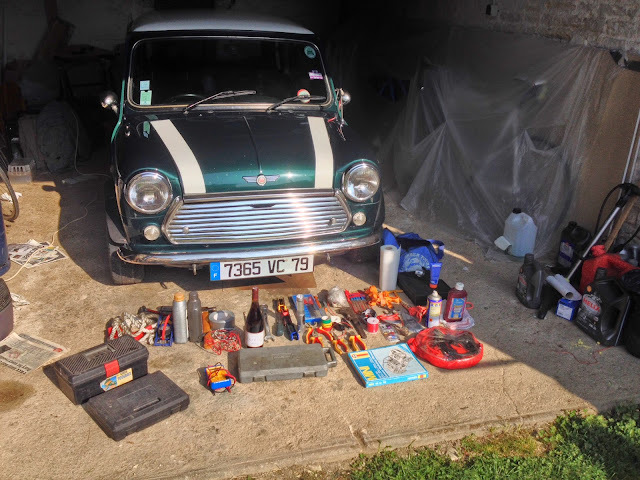 Ade has been busy preparing the Mini and packing all his essentials as today was his last day here before our road trip south next weekend. This means lots for me to do this week prior to his parents arriving on Friday to look after Ed. I must also remember to pack my essentials, namely my tweezers: I won’t look chic in Cassis in my carefully coordinated capsule wardrobe and sprouting chin hairs. This evening we spent some time getting in the holiday mood by looking through the photos of our 2008 road trip and noticed I was wearing the same clothes I am wearing today, although they are a loser fit now and won't be packed for this trip. I guess the cycling (another 39km ride today) is keeping the middle age spread from spreading. I wonder if I’m the only one whose wardrobe seems to have an average age of over six years? An early start today to drive the 2-hour round trip to drop Ade off at the airport and on the way home – shock - Ed actually removed his headphones and chatted to me! He obviously had his fill of parent time as he declined the offer to walk the dog with me this afternoon. I watched a bit of the TV coverage of the London Marathon and rather than feeling inspired to climb a mountain (something Ade is planning on Mt Ventoux by bike next week) or take up running I found I barely had the energy to do the ironing, finish the quarterly business accounts, plan a 500 word article and think about what to cook for dinner. I wonder what my midlife crisis adventure will be? I fear this week will be one of those with more things to do than time to do them. So far so good, I’ve not managed to kill any of Ade’s tomato seedlings and with a holiday on the horizon and the fact I still had the doors wide open at 9 pm this evening, I'm happy to say goodbye to another winter. I found Ed reading The Secret Diary of Adrian Mole aged 13 ¾ in bed this evening and laughing out loud. Some things are timeless - thank you Sue.